Residential property prices in Dubai are anticipated to continue their downward slump in 2019 as increased supply enters the market, a new report has found. The report by real estate portal Property Finder found that supply is expected to double – or even increase by three times – even as demand remains sluggish. A total of 19,881 residential units were completed as of October 2018, with a further 14,707 units scheduled for completion by the end of the year. If this is achieved, this will bring 2018’s total added supply of residential units to 34,588, the report stated. Meanwhile, during the course of 2019, an additional 33,982 residential units – including 29,115 apartments and 4,867 villas – are scheduled to be delivered, according to Property Finder. Up to 65 per cent of the work on these projects is already complete. The new properties are located in Town Square, areas between Arabian Ranches and Emaar, Downtown Dubai, Dubai Creek and Dubai Hills. Property prices in Dubai have fallen significantly in the last few years. A recent report by consultancy Chestertons found that average sales prices for apartments and villas declined 6 per cent year-on-year in the third quarter. “With borrowing being more expensive coupled with some general uncertainty about the direction the market will take, transactions have dropped 23 per cent in the first nine months of 2018 compared to the same time period in 2017,” said Lynnette Abad, director of Research and Data at Property Finder. “In 2019, property prices are expected to continue to decline as we are most likely to see the materialisation of residential supply double, if not triple, the amount of units from past years,” she added. 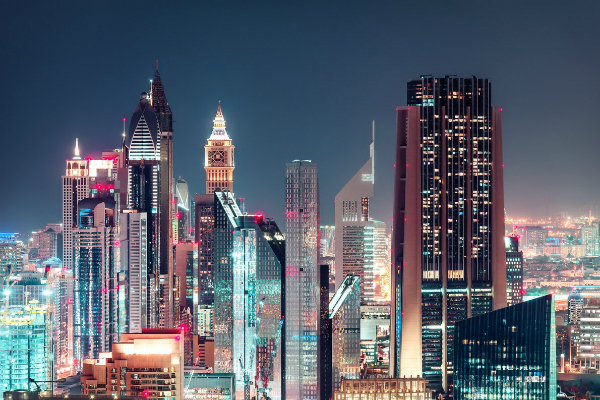 However, despite the decline in property prices in Dubai, government investments have continued, while several new initiatives have also been announced to improve the market sentiment and provide tangible returns. One of the new regulations will see banks provided with more flexibility in terms of lending to real estate investors, which in turn is hoped to boost the market. Developers are also now focussing more on “holistic and all-inclusive” affordable co-living spaces for junior, white collar professionals, aimed at persuading renters to become buyers, the report found. “In 2019, and going forward, developments are becoming more holistic and all encompassing as developers are embracing the concept of master planned communities,” the report noted. “We are seeing more when it comes to master developers creating a community rather than just a single building. While some of these newer launches have a completion date post 2020, 2019 will see some developers following the trend when it comes to creating spaces that people can live, work and entertain themselves within,” it added. Will Dubai’s Property Prices Continue To Rise?